It is 500 days untill the 2018 FIFA World Cup begins in Russia, and football fans gathered in the host cities to celebrate the occasion. People gathered in Nizhny Novgorod, Sochi, St. Petersburg and Moscow, to celebrate the landmark. The 2018 FIFA World Cup will be the first to be held in Russia and will play out across eleven cities in 12 stadiums, all of the which are either under construction or have been built from scratch. 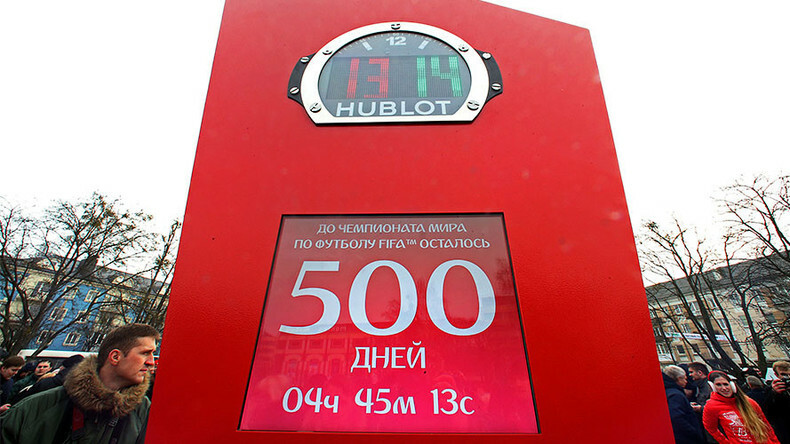 Kaliningrad and Ekaterinburg unveiled their respective special clocks counting down every second of the 500 days until the start of the tournament. In Sochi, supporters were treated to a fire-and-ice show, during which the performers created a structure depicting the number “500” using pyrotechnic effects. Denizens of Nizhny Novgorod took part in a treasure trail for supporters while both Sochi and Rostov-on-Don held city-wide celebrations that included live concerts. In Moscow, 2,000 workers are working around the clock to complete modifications to the city’s famous Luzhniki Stadium, which will host the opening ceremony and match; as well as group games, a semi-final and the eventual final of football’s showpiece competition. Currently, the area of the ground has been expanded to 221,000 sq m and 3,000 new seats are being added to the Luzhniki, which was also the arena which staged the 1980 Moscow Summer Olympic Games. Those new spaces - which include VIP areas and disabled access - brings the total capacity to 81,000, making it one of the biggest sporting venues in Europe. A state of the art natural pitch has been laid to replace the former artificial pitch. The new turf, one of only six of its kind in the world, has sensors which allows it to combat the harsh Moscow climate. FIFA meanwhile reports that the campaign to recruit volunteers for the FIFA Confederations Cup 2017 and the 2018 FIFA World Cup Russia has broken the World Cup record for the number of applications. 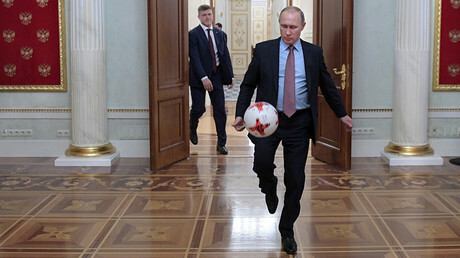 In the period from June 2016, when President Vladimir Putin and FIFA President Gianni Infantino jointly launched the volunteer campaign, to the end of the application period on December 30, around 177,000 people expressed interest in becoming volunteers for the Russia 2018 Local Organising Committee (LOC). The host cities around Russia🇷🇺 all found their own way to mark the milestone! This exceeds the previous record by almost 25,000 applications, set four years ago when 152,101 applications were received for the 2014 FIFA World Cup Brazil, FIFA said on its website. The 2018 FIFA World Cup in Russia will take place from June 14 to July 15.